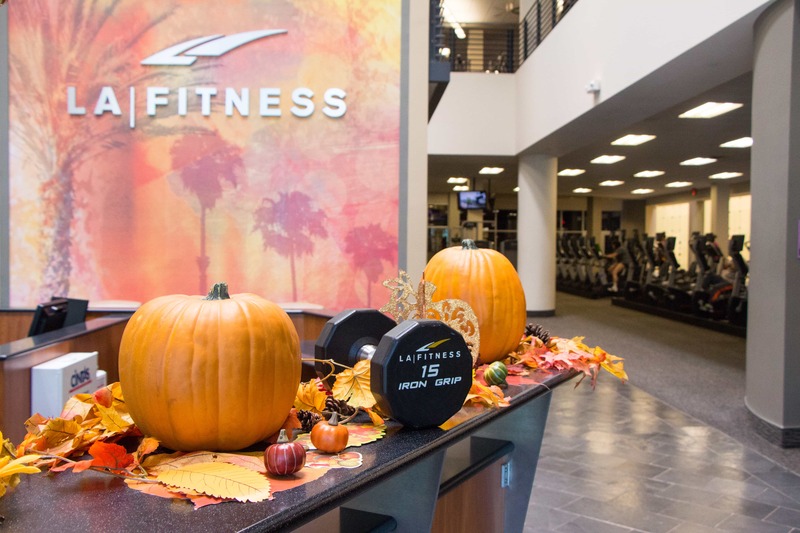 Fall into Fitness | It’s the Autumn Equinox! Come fall into fitness with us! Can you feel it? The slight change in the weather, that crispness in the evening air, fall is here and it’s time to celebrate! Fall lends us lots of reasons to rejoice, from changing leaves to fresh cool breezes – it’s the little things in life that truly make it so wonderful. This time of year marks the kickoff of the upcoming holiday season. Before you know it, ghoulish goodies will be popping up left and right as Halloween draws nearer, and pumpkin spiced everything will start adorning supermarket shelves. A word to the wise, if you’re going to enjoy these tasty treats and more, don’t let your workouts slack or you might start to notice a change around your waistline – now that can be scary! With summer at an end, you may find yourself with a bit more energy as the cooler weather begins. Keep your workout routine going strong so you’re ready to hit the slopes, throw that perfect pass, or enjoy that sweet indulgence when the time calls. Building a stronger body in the gym can help create a healthier life outside of it, and who doesn’t want that? Now that a new season is upon us, try changing up your workout routine. Adjusting your typical gym routine is good for the body and helps prevent it from plateauing. If you’re unsure where to begin or what to do, why not try a Yoga class? (It is National Yoga Month after all). The days may start to seem shorter as the sun begins to set just a bit earlier than those sweet summer nights, but don’t let that detract you from your workout! After a long day at work, or a tiring day of classes, make time to get your exercise in. Exercise not only helps produce feel-good hormones, but it can help energize the body, and leave you feeling more confident. It’s always important to remember that a quick workout is better than no workout. Happy Fall! We’ll see you in the gym. The world is a massive place, and most of us barely scratch the surface of seeing it in our lifetimes! Well, if you’ve ever been curious how other countries around the world partake in sporting events and fitness trends, look no further than the list below. If your favorite country didn’t make the list, it’s nothing personal, there’s far too many to include in one article – check to see if they make it on our next edition of Top Sports & Intriguing Fitness Trends from Around the World! Will you be participating in any of the sports listed below this year? 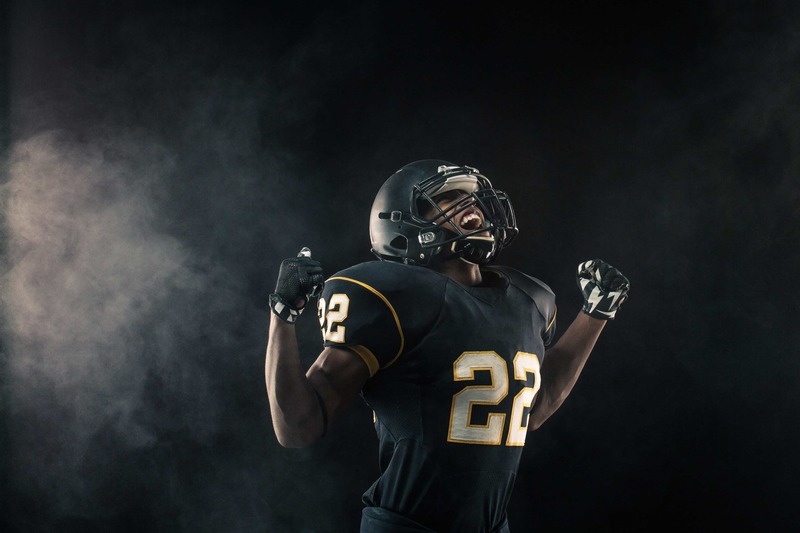 Keep physically fit at LA Fitness so you’re ready to tackle, run and jump your way to victory! 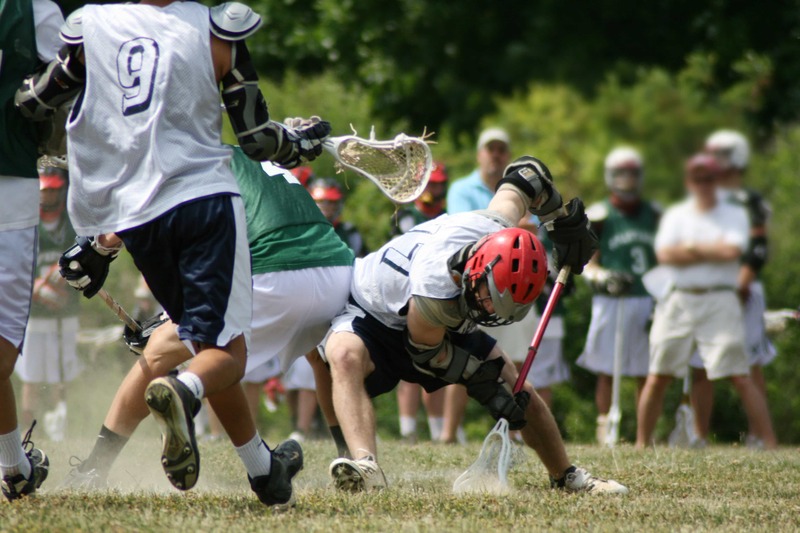 Canada – Lacrosse is known as Canada’s national summer sport and ice hockey as the national winter sport. However, what may come as a surprise is that soccer is currently the most popular sport among Canadian children3, according to Canada’s government site. Fun fact: Swimmers rejoice; this may be for you. Each year thousands of Canadians participate in the Polar Bear Swim in Vancouver, Canada, an icy cold swim into the English Bay on New Year’s Day. Many dress up in fun and fancy costumes, so if you plan to participate, bring your creative A-game! Fitness Tip: To help strengthen your shoulders and triceps, and assist in preventing injury when playing lacrosse, try incorporating some military presses into your workout routine. Unsure how much weight to use? Check out a quick tip here! United States – In 2014, ESPN ranked professional football as the most popular sport in America for at least the 30th straight year.4 With many blockbuster films and popular TV shows featuring the sport, and the Super Bowl dominating as one of America’s favorite pastimes, it is no surprise this hard-hitting sport makes the touchdown as America’s top sport. Fun fact: LARP, which is short for live action role-playing, has no single point of origin but is incredibly popular in the U.S., North America, Europe and Australia. The earliest recorded LARP group, known as Dagorhir, was founded in the United States in 1977 and focused on fantasy battles.5 Who said playing video games had to be a sedentary activity – grab your garbs and meet up with fellow gamers for a fun and fantastical way to keep fit. Fitness Tip: Before getting in that early morning workout, eat a healthy breakfast! Why is this so important? Find out the reason here. Fun fact: Checkmate! 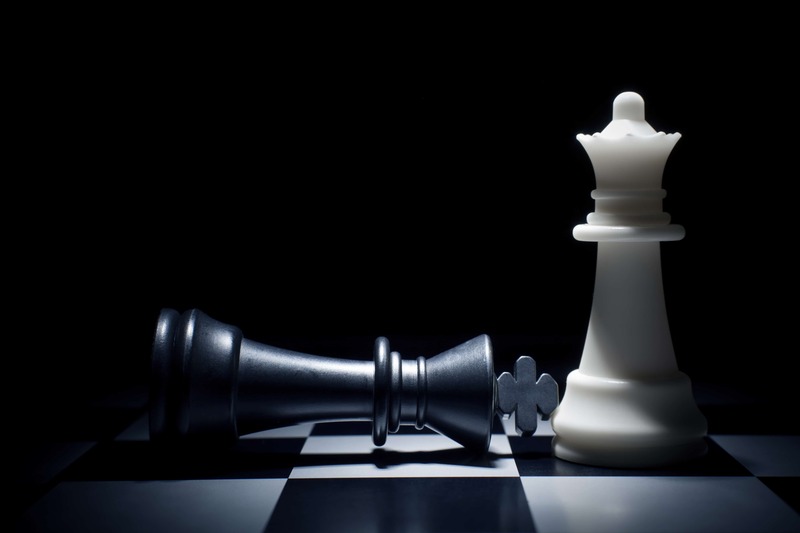 Russians consider chess a competitive sport, and it’s even recognized as one by the International Olympic Committee.2 In fact, the youngest ever undisputed World Champion was Russia’s own Garry Kasparov who later started his own organization known as PCA (Professional Chess Association), a rival organization to FIDE (World Chess Federation). Fun fact: Each year China hosts a traditional Dragon Boat Festival, which commemorates the life and death of Qu Yuan, a Chinese poet and scholar. 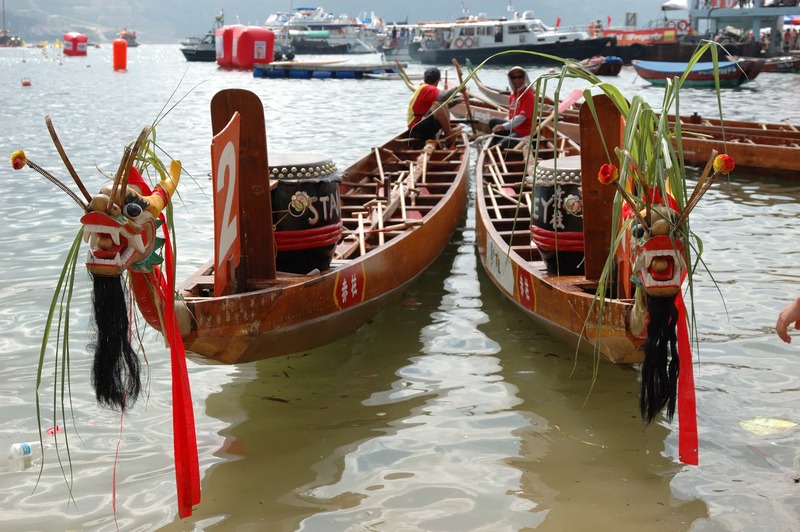 The celebration consists of good food and drink, along with dragon boat races of course. Brazil – Football, or soccer as Americans refer to it, is Brazil’s most popular sport. According to FIFA, there are 13.2 million football players in Brazil7 – and that’s not including the ones who practice it just for fun! Did you know? The national team has won 5 FIFA World Cup titles! Australia – Australian football, referred to as simply “footy” takes the top spot for beloved sport game of this country. However, rugby comes in a very close second9, with both sports drawing huge audiences and casting wide appeal. Fun fact: You may have heard about the discus throw, or maybe even the javelin throw, but have you heard about tuna tossing? That’s right, the Tuna Tossing World Championship occurs annually in Port Lincoln, Australia, and it’s exactly what is sounds like. They even have a competition for the little Aussies, called the prawn toss.10 Time to start working on your throw if you’re going to give this competition a go. 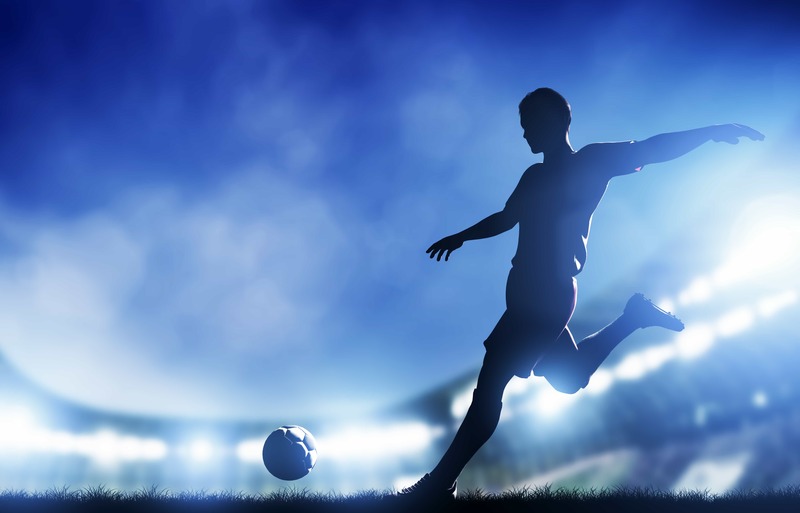 France – Football (soccer) and cycling lead as two of the top sports of France. With France having won a FIFA World Cup and the popularity of the Tour de France, it is easy to see why the French hold these sports close to heart. 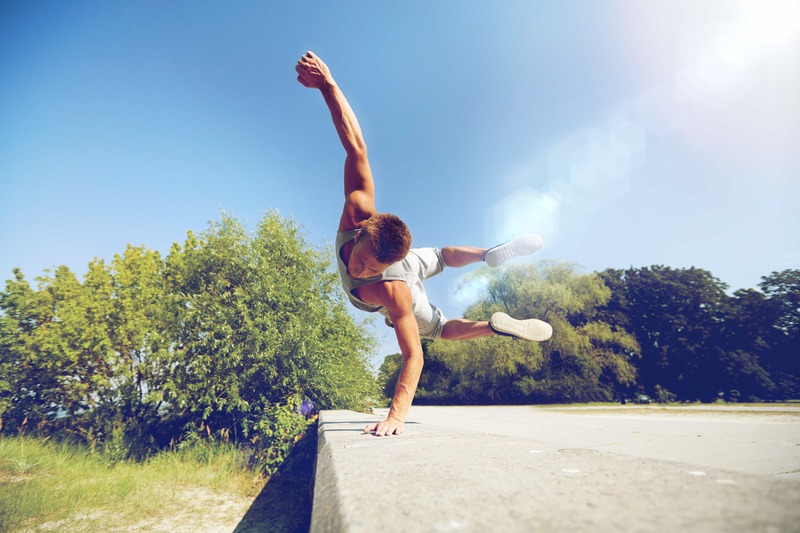 Fitness Tip: Soccer players and parkour lovers take note! Find out how to help prevent shin splints here. Fun fact: Japan is known for being over-the-top in fun and wacky ways when it comes to certain things. Take for example, Japan’s weight loss sunglasses which are tinted blue in order to help our brains find the food unappetizing.16 Research has shown that blue is the least-appetizing food color17, therefore in theory, this should help users of these sunglasses eat less, which could help lead to weight loss. Fun fact: Have you heard about morning raves? Popular in London, and spreading their way around the world, these early morning dance parties are everything you’d find in a rave, sans the drugs and alcohol. While it may seem like a silly concept, folks that have attended feel that it’s a great way to start the day and feel more energized19 before setting off for work or school. Spain – Bossaball is a team sport that originated in Spain. It combines various elements taken from volleyball, football (soccer), trampoline and capoeira (a Brazilian dance exercise). This sport sounds like it would be the next fun thing to give a try. 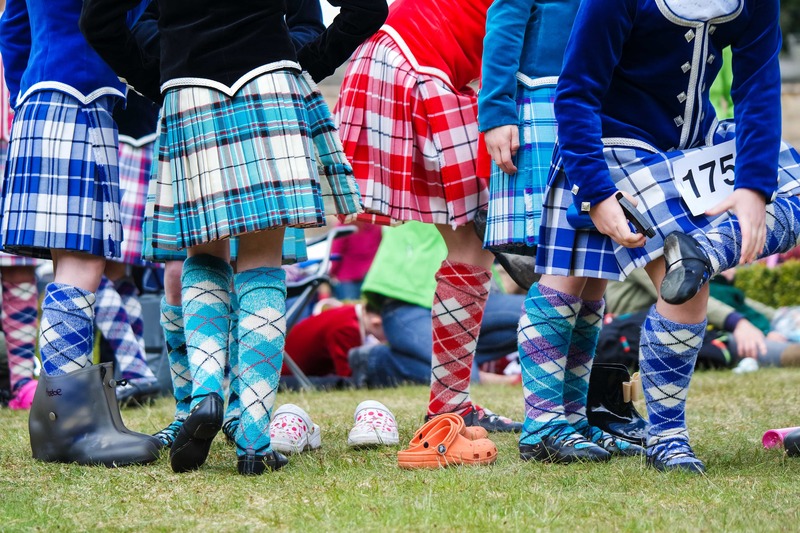 Scotland – If you’re ever planning to attend the Scottish Highland games you better have your kilt ready. 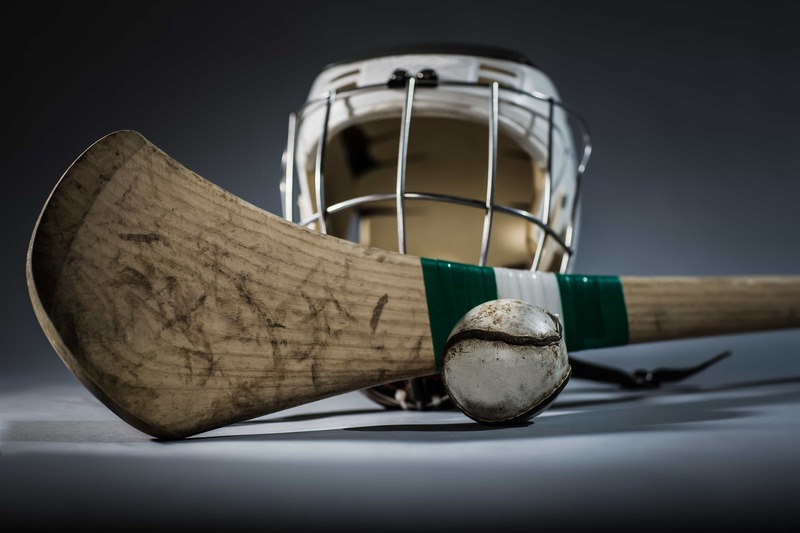 Draped in traditional Scottish history, this fun sporting event includes plenty of food, drink and Scottish dance, not to mention a plethora of skills events that will leave you wanting to try your own luck. Ireland – According to DiscoveringIreland.com, the main sports of Ireland include hurling and Gaelic football20, which are included in the Gaelic Games located in Croke Park in Dublin. 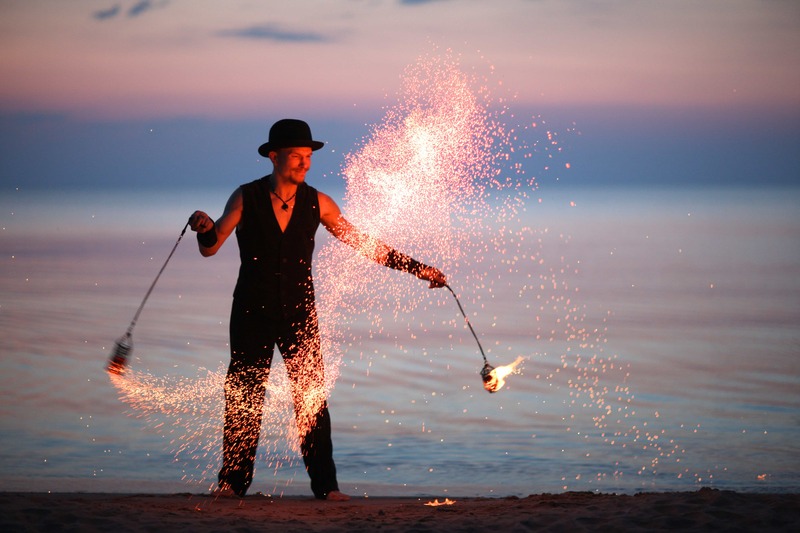 New Zealand – Have you ever heard of poi dancing? It originated years ago in New Zealand by the indigenous Maori people. They used it to increase their flexibility, strength and coordination. “Poi” is the Maori word for “ball” on a cord21, which is exactly what the dancers use. Share with us your favorite sport below (weird/wacky/fun) – we would love to hear it! 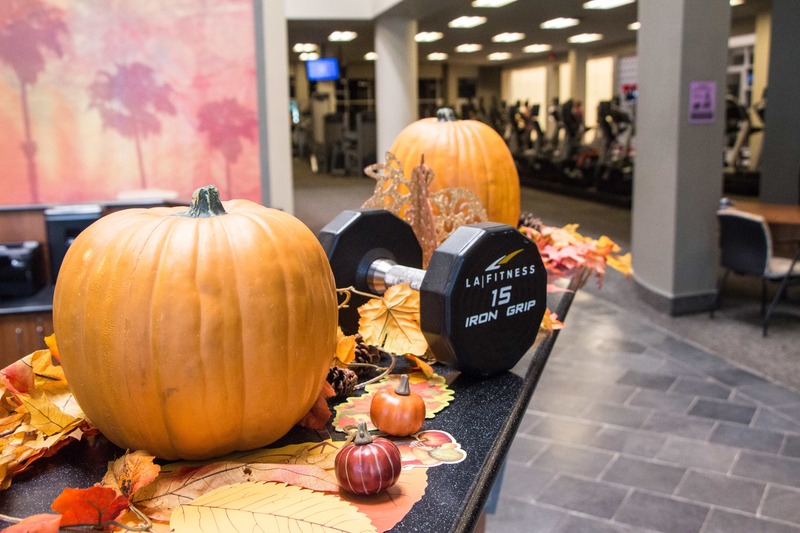 Keep training with us at LA Fitness so you’re ready for whatever next sporting game comes your way! *Amenities vary by location. Racquetball court use may be subject to an additional fee. “Ice Hockey.” Sports in Russia – Ice Hockey. N.p., n.d. Web. 26 July 2017. Channel, Travel. “Russian Sports.” Travel Channel. Travel Channel, 10 Feb. 2011. Web. 26 July 2017. Government of Canada; Canadian Heritage; Communications. “Home.” Government of Canada; Canadian Heritage; Communications. N.p., 09 Mar. 2016. Web. 26 July 2017. Rovell, Darren. “NFL Most Popular for 30th Year in Row.” ESPN. ESPN Internet Ventures, 26 Jan. 2014. Web. 26 July 2017. “Live Action Role-playing Game.” Wikipedia. Wikimedia Foundation, 28 June 2017. Web. 26 July 2017. Hays, Jeffrey. “TABLE TENNIS AND PING PONG DIPLOMACY IN CHINA.” Facts and Details. N.p., n.d. Web. 26 July 2017.
tsumi, Igor. “15 Most Popular Sports In Brazil.” The Brazil Business. N.p., 21 July 2014. Web. 26 July 2017. Verotti Farah, Ana Gabriela. “The Gym Industry in Brazil.” The Brazil Business. N.p., 30 Jan. 2013. Web. 26 July 2017. “Top 10 Most Popular Sports in Australia Sporteology.” Sporteology. N.p., 06 Sept. 2016. Web. 26 July 2017. “Top 10 Wacky Sports around the World.” Reuters. Thomson Reuters, 20 Apr. 2012. Web. 26 July 2017. 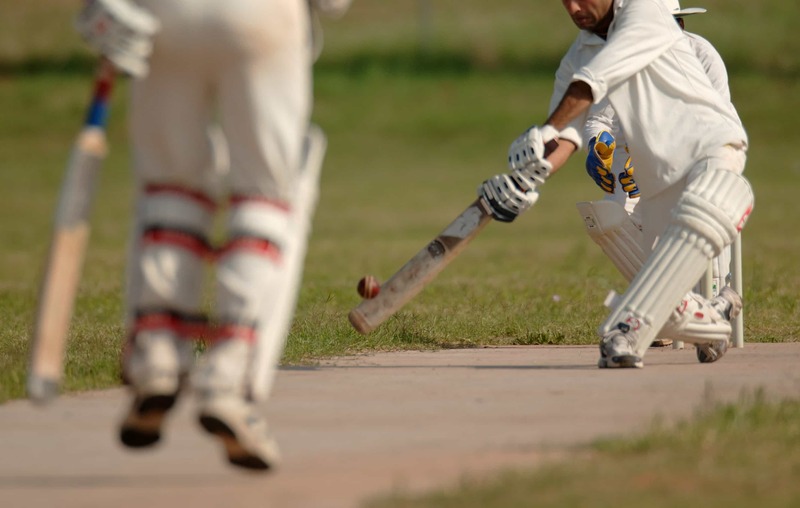 “Top 10 Most Popular Sports in India | Most Followed Sports in India.” Sporteology. N.p., 01 June 2017. Web. 26 July 2017. “Does Yoga Belong to India?” The Week – All You Need to Know about Everything That Matters. N.p., 07 Feb. 2015. Web. 26 July 2017. Lawrence, Cameron. “How Parkour Works.” HowStuffWorks. N.p., 02 May 2006. Web. 26 July 2017. 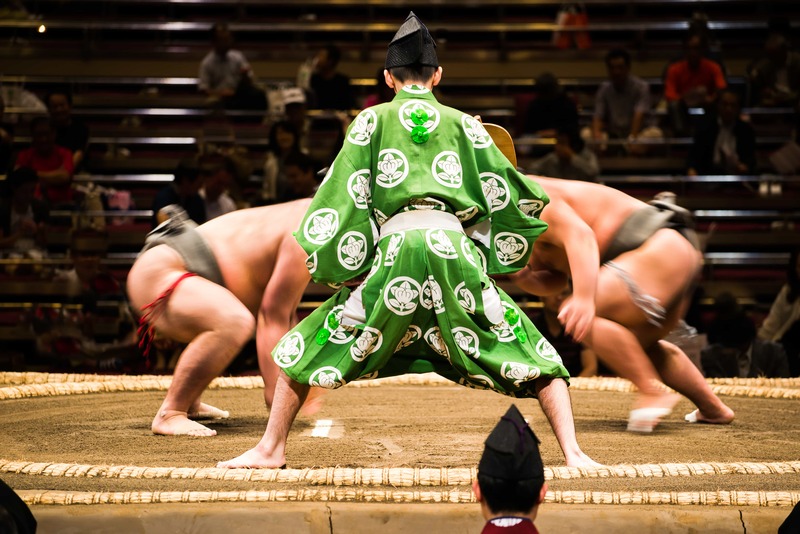 “Traditional Japanese Sports.” Japan National Tourism Organization | Japan In-depth | Exotic Experience. N.p., n.d. Web. 26 July 2017. Kopman, Jeffrey. “13 Crazy Fitness Trends from Around the World.” The Weather Channel. N.p., 28 Jan. 2016. Web. 26 July 2017. Frucci, Adam. “Weight Loss Sunglasses Make Your Food Look Gross so You Won’t.” Gizmodo. Gizmodo.com, 24 Mar. 2008. Web. 26 July 2017. Tmg. “What Is the Most Popular Sport in England?” The Telegraph. Telegraph Media Group, 15 Feb. 2017. Web. 26 July 2017. Rubin, Gareth. “Wake up to Breakfast Raves – They’re a Healthy Way to Start Your Working Day.” The Observer. Guardian News and Media, 01 Nov. 2014. Web. 26 July 2017. “Activities & Sports.” Discovering Ireland Vacations. N.p., n.d. Web. 26 July 2017. Malcolm. “Learn All about History and Culture. Free Lesson on Poi History History of Maori POI in New Zealand.” Home of Poi. Home of Poi, 30 Apr. 2013. Web. 26 July 2017. 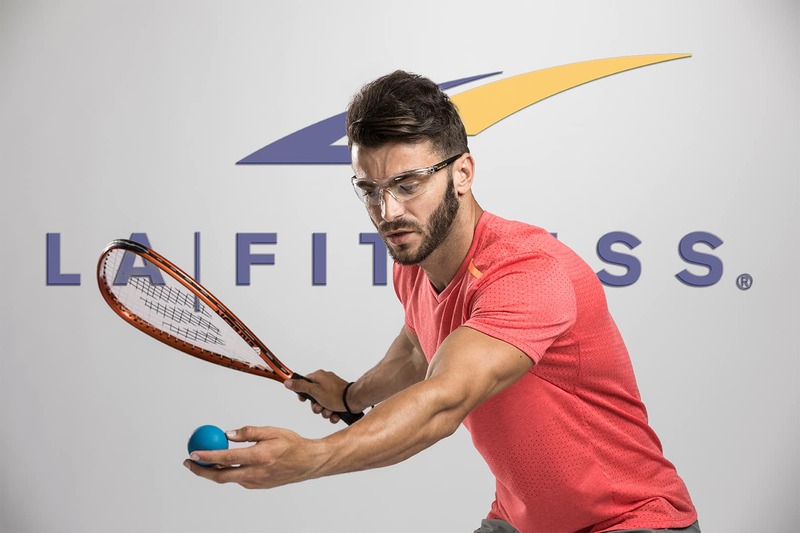 “Athletic Scholarships.” The History Of Racquetball. Where And How Racquetball Started.N.p., n.d. Web. 26 July 2017. Henson, Joaquin M. “Why Filipinos Love Basketball.” Philstar.com. N.p., 23 Mar. 2016. Web. 26 July 2017. For structure, you could follow a moderate diet plan providing no fewer than 1500 calories a day. We offer a sample daily diet plan. If your schedule and environment don’t allow you to plan or prepare for a balanced lunch or to prevent mindless snacking, that is something you need to address first. Commit to Fit is designed to help members stick to their fitness goals. In fact, studies show, those who write down their goals accomplish significantly more than those who do not write their goals. * Share yours with us today in the Commit to Fit form below! ** You may even be featured in a future Commit to Fit post. Shown below, are some of our most recent members who have committed to their fitness goals. Joshua G. wants to strengthen his legs after an ACL injury, while staying healthy overall. We’re glad to see you getting stronger Josh, keep up the good work! Jerry Lamont M., Jack J., and Keith L.
Jerry Lamont M. hopes to someday play in the NBA and he certainly has the drive to! His friends, and fellow basketball players, Jack J. and Keith L. would like to lower their body fat percentages. Keep active guys & never lose the fun of the game! Stephanie is currently working towards on her overall fitness, health and well-being. We believe in you Stephanie, keep going strong! Sokem M. wants to lose weight, and the gym is a great place to start – we believe in you! Adarryll T. wants to bring his weight from 260 to 245 lbs. It’s great to have specific goals, Adarryll! Keep up the hard work and don’t lose focus. You’ve got this! John A. would like to lose weight – a popular fitness goal! We are proud of you John for committing time at the gym to work towards your fitness goal. LA Fitness Pro Results® Master Trainer, Geoff F., helps answer if it’s necessary to switch between leg day and chest day. See Geoff’s suggestions in the video below. Lynnette R., of Round Rock, TX, shared that she was the last person you would ever expect in a gym. She tried having gym memberships in the past, would pay for a year in advance, go once, and then never show up again. Because of this, she even “grounded” herself from getting another gym membership, because she couldn’t seem to make herself go. Flash back to two years ago, when Lynnette completely stopped exercising all together, stopping even her typical walks outside. Due to her sedentary lifestyle, Lynette began gaining weight. She became heavier than she had ever been and became incredibly discouraged. 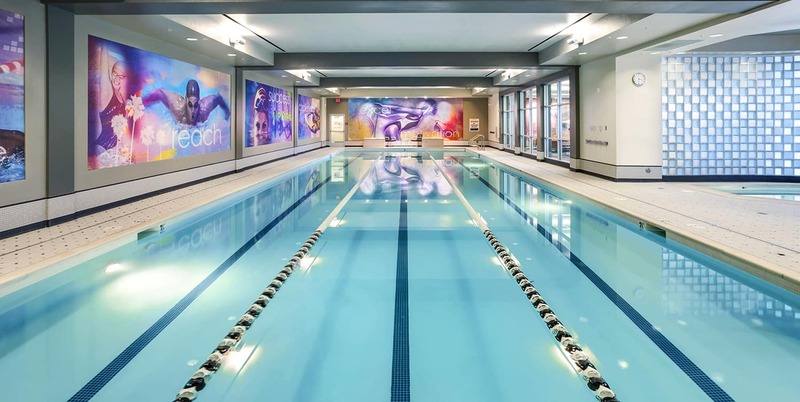 However, around this same time, an LA Fitness opened up close to her home and Lynnette noticed it had a nice pool. She figured she could try swimming as a new way to exercise. She signed up for a free guest pass, and set up an appointment for a complimentary Pro Results® Personal Training assessment. She knew she was in a place in her life where she had to change her lifestyle. She just couldn’t seem to stop gaining weight. It was at that moment Lynnette decided that the commitment to work with a trainer would be the accountability she needed to make sure she showed up and made good use of the gym. She signed up and that is when she met her personal trainer, Riley S. What Riley didn’t know at the time was Lynnette’s severe fear of men that stemmed from experiences from her past. However, Lynnette hoped that by being in the gym and working with a male trainer, she could overcome some of that fear. When Lynnette first started training in the open area of the gym, she would get nervous and experience trouble breathing – and as far as the free weight area, she thought of it as “incredibly intimidating.” She began to open up to Riley about the fear she was trying to overcome, and she was blown away at how he reacted to it, mainly because nothing changed. The workouts stayed the same and they would still use the free weight area. Her “homework” required her to go into the free weight area alone and train on her solo gym days. Slowly, Lynnette R. was becoming more comfortable in the gym.